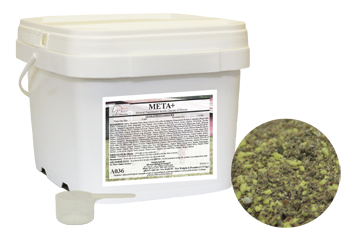 META+ (Formerly Cushing's Plus Magnesium and Chromium) is recommended to help improve the quality of life of horses diagnosed with metabolic conditions such as Cushing's Syndrome, Laminitis, Insulin Resistance, or EMS. 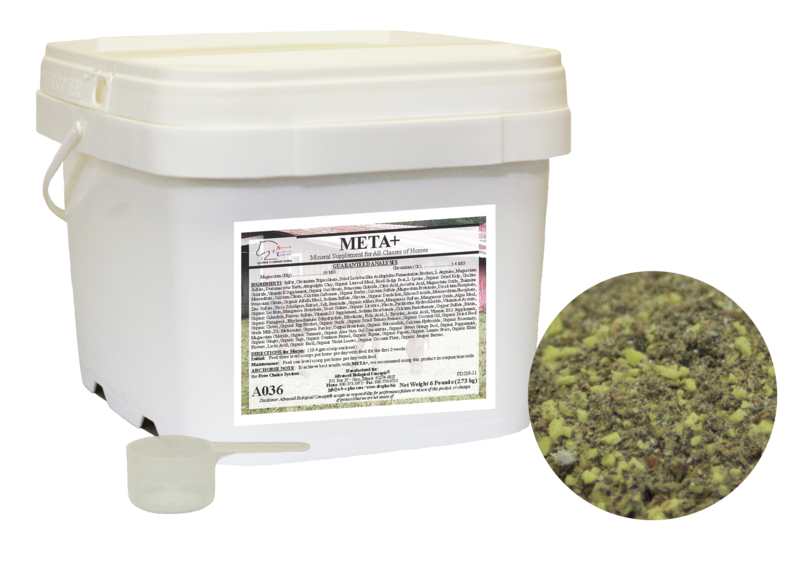 META+ is a comprehensive nutritional profile of nutrients normally overlooked in horses' diets. It is not a highly technical formulation, just nutrients that science knows about, including Magnesium and Chromium. We recommend using this product in conjunction with the Free Choice Stress System.